Brewing instructions are not printed on Consumer (Bulk) packages. Please see the How To Brew page for brewing instructions. 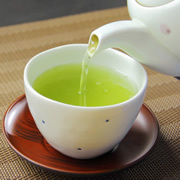 Makinohara Shincha brews exactly like Sencha.